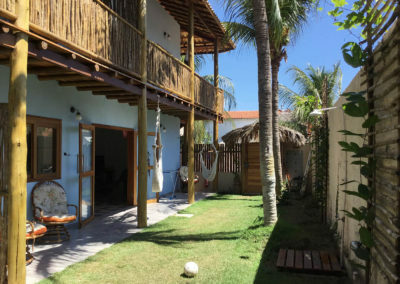 Vila Celeste is a newly built structure of complete apartments, located at Beco da Igreja (“Church Alley”), between the village center (Rua do Forró) and the Malhada beach (Rua da Igreja). 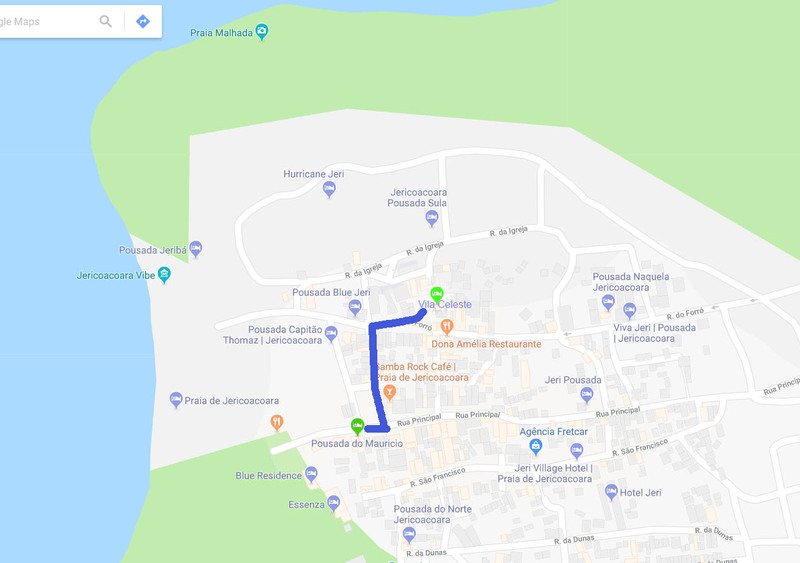 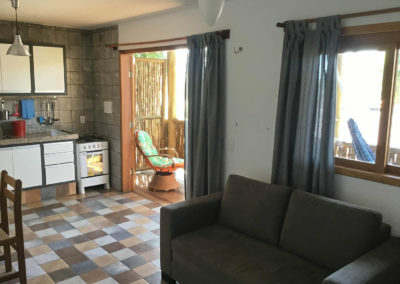 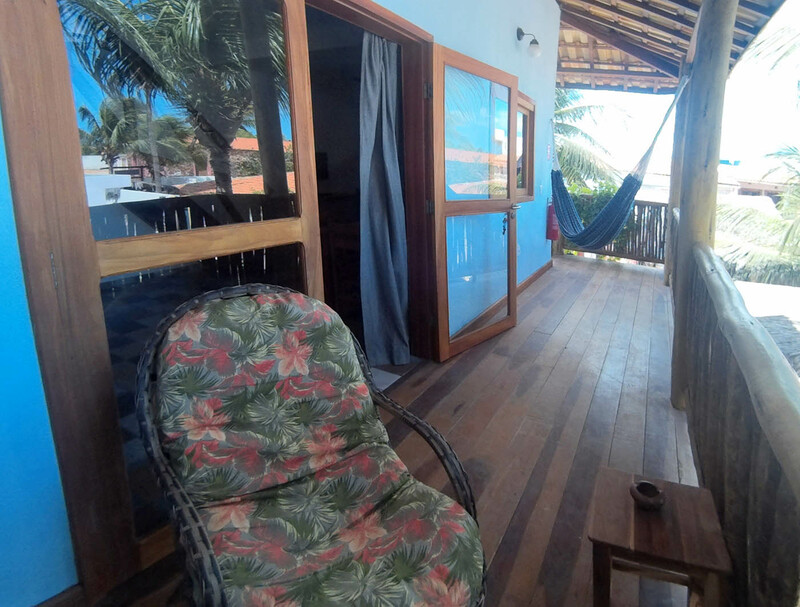 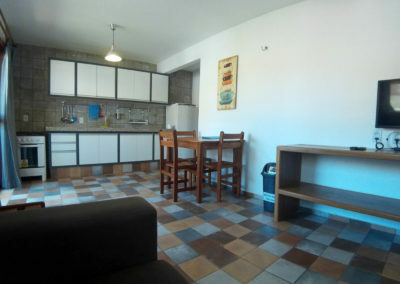 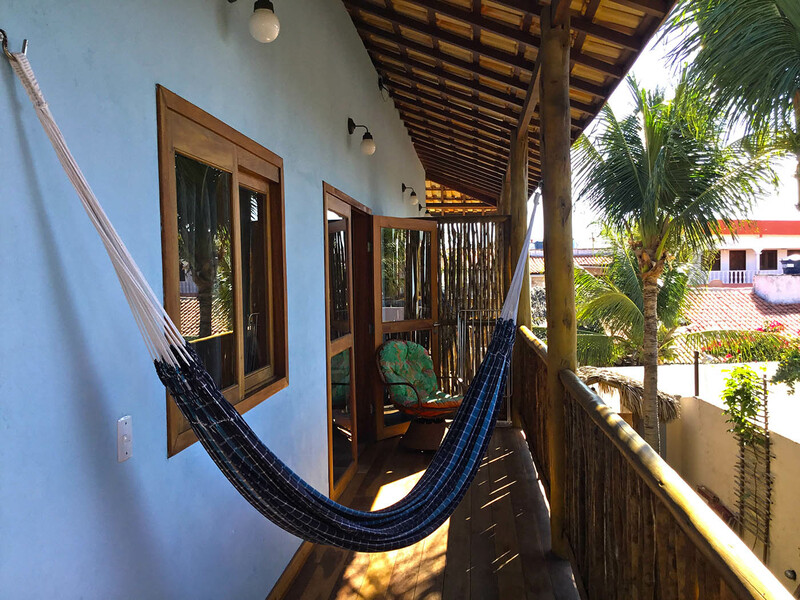 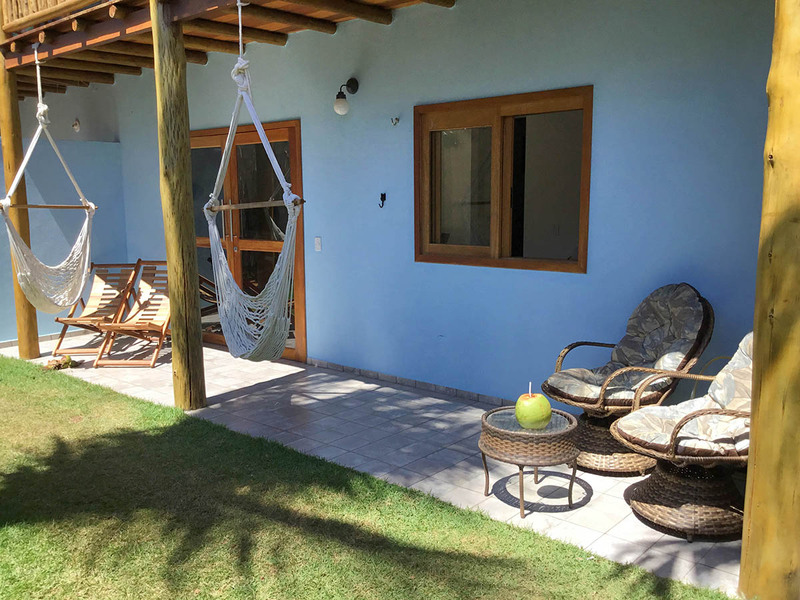 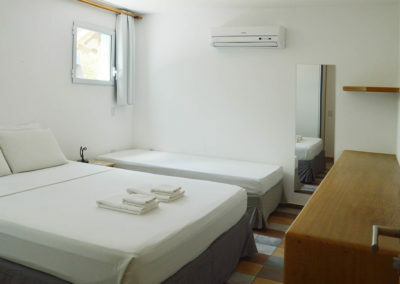 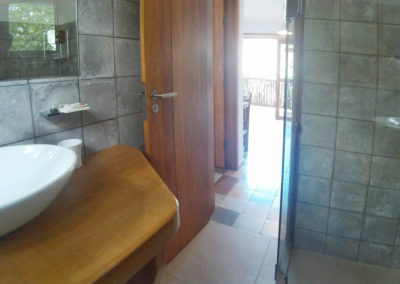 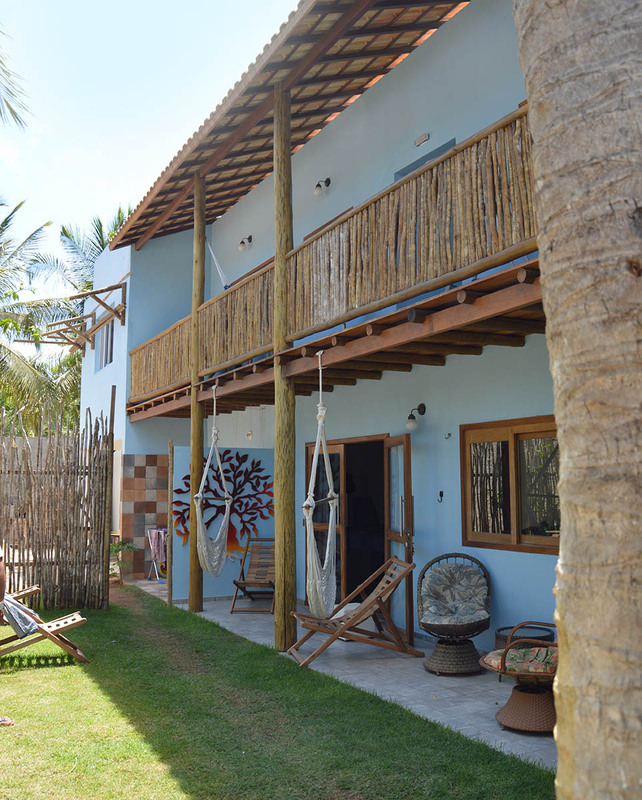 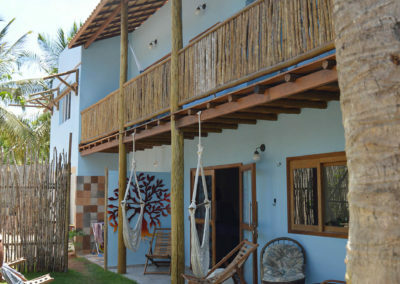 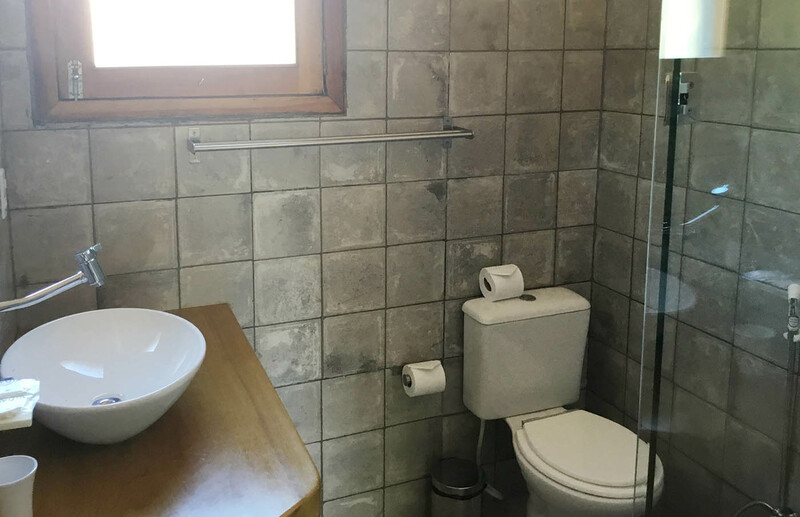 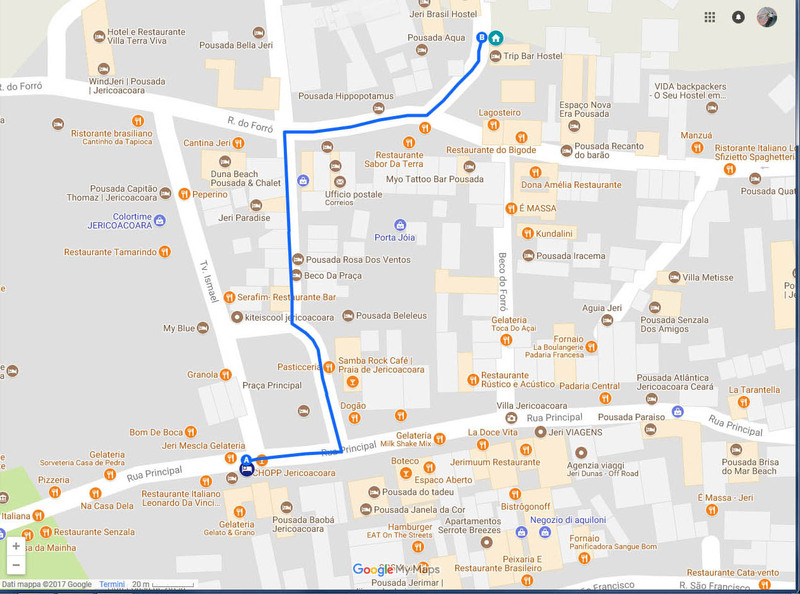 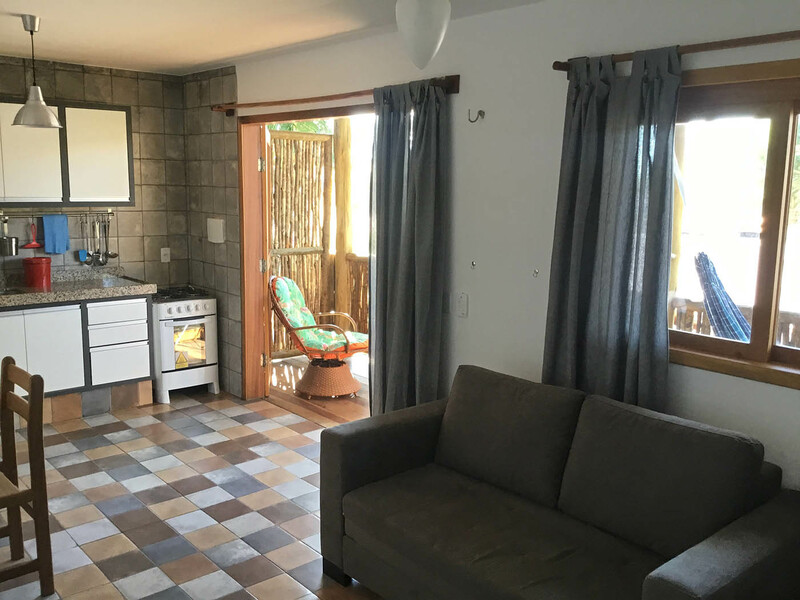 The distance to Pousada do Mauricio is approximately 280 meters, about 3 minute walk. 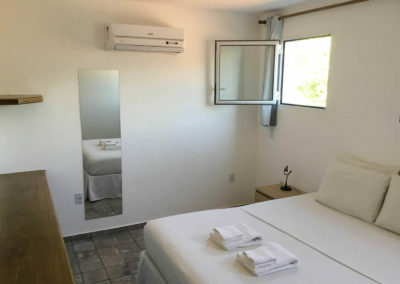 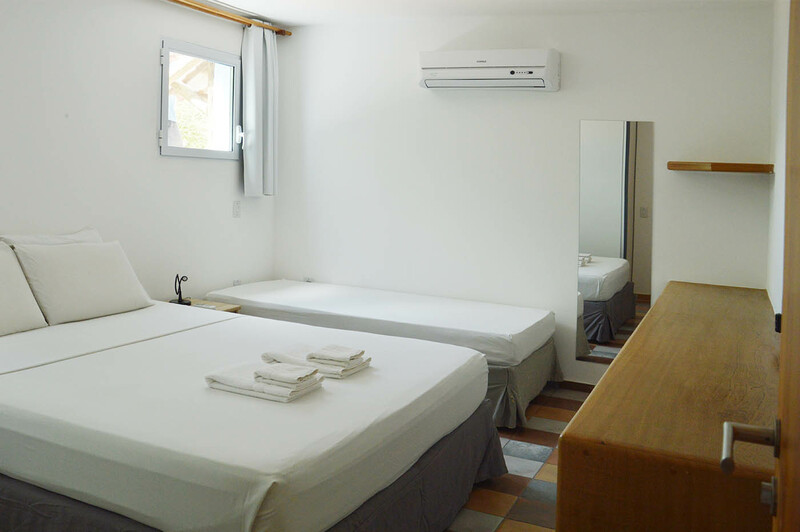 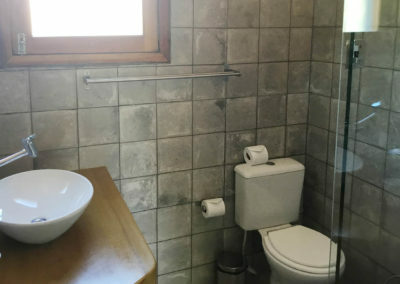 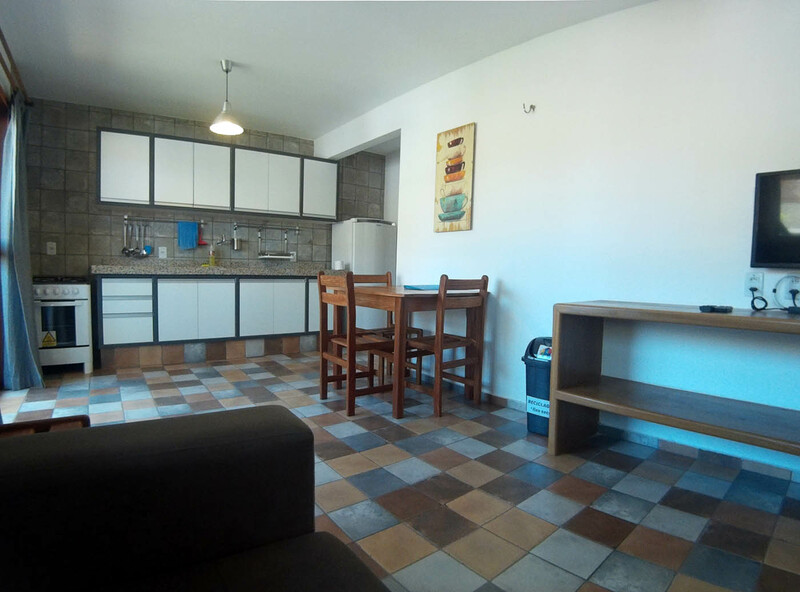 The apartments are split in bedroom with queen size bed, single bed and air conditioner, living room with double sofa bed, ceiling fan and tv, complete kitchen, bathroom with hot shower and balcony with hammock, armchair and clothesline. 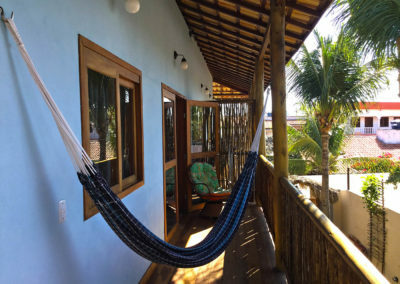 They can accommodate up to 6 people, using extra beds, mattresses and hammocks. 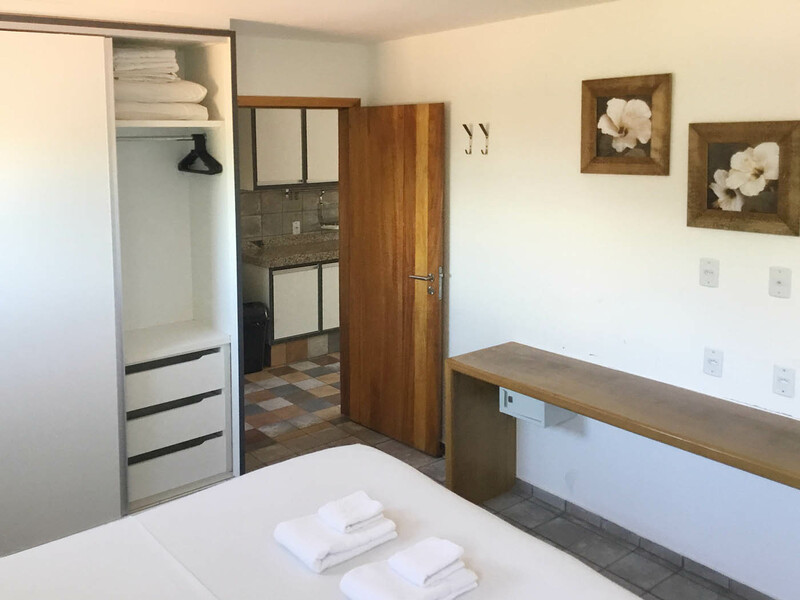 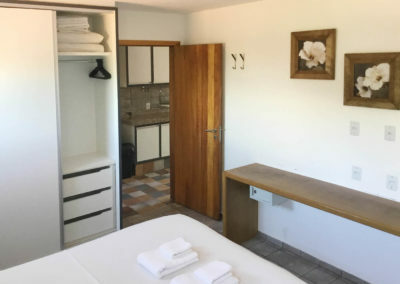 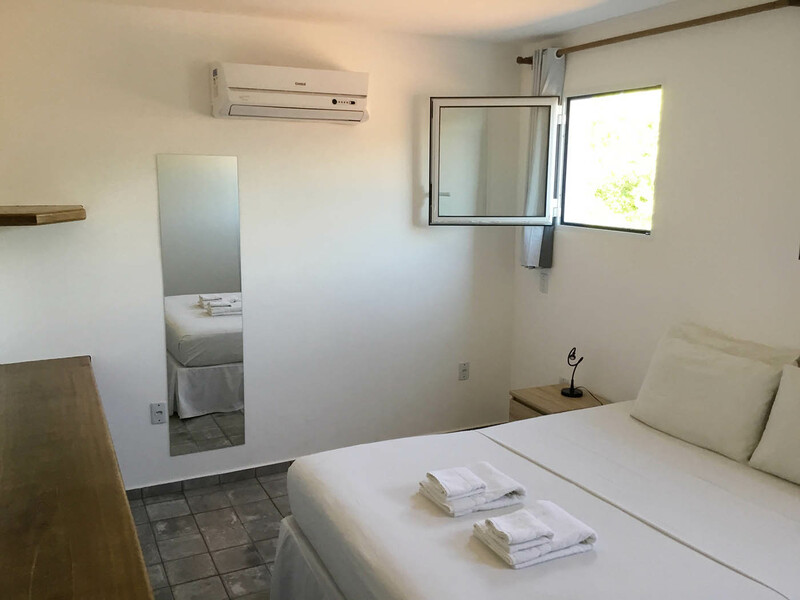 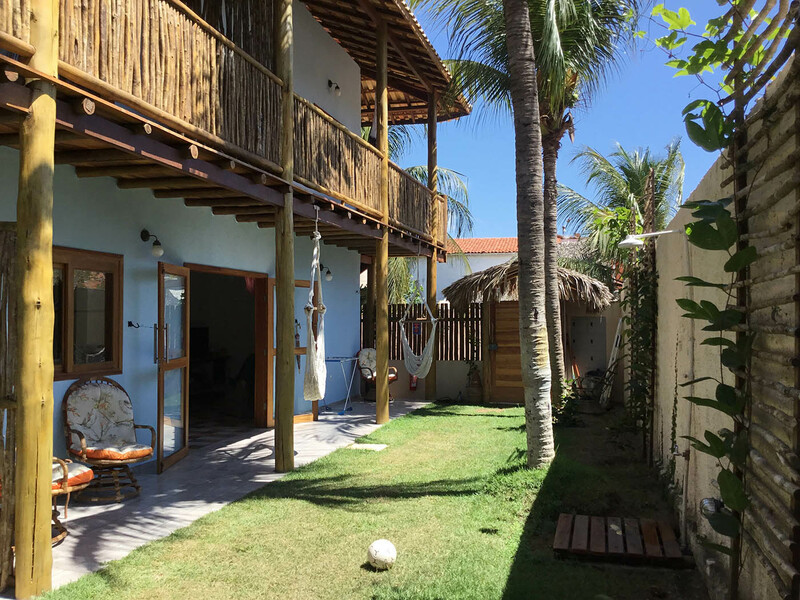 All the services for Pousada do Mauricio guests are equally offered to Vila Celeste guests (daily cleaning and WiFi signal in the structure; breakfast, appetizers and swimming pool at the pousada).